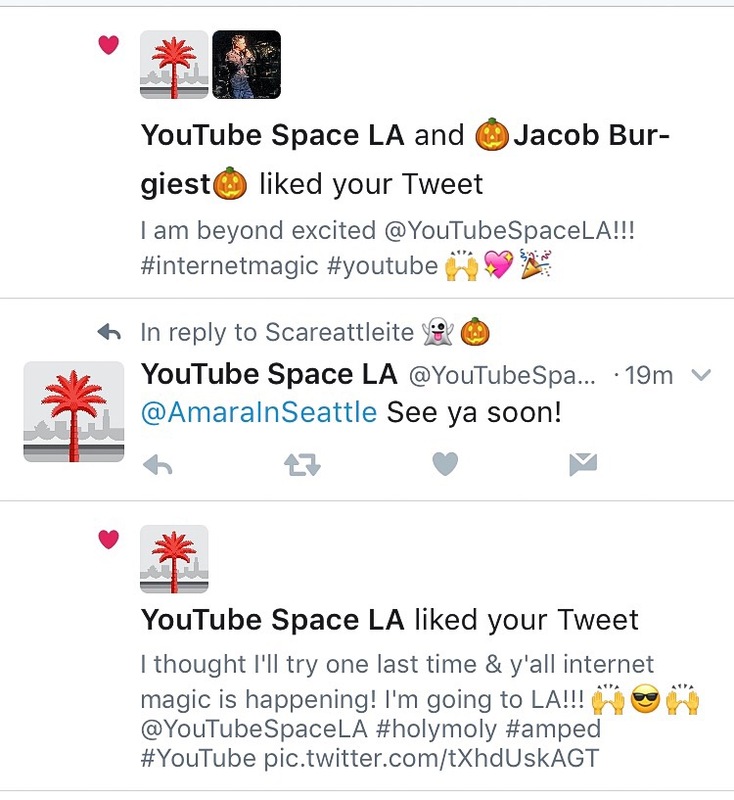 I am going to LA in 2 days… I repeat I am going to Los Angeles in 2 Days! 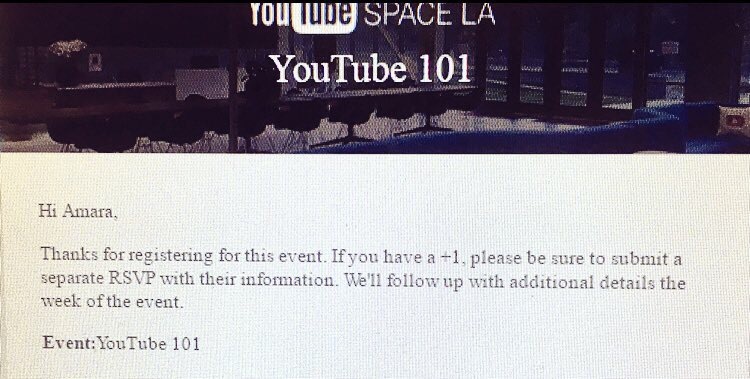 New to content creation on YouTube I was delighted to learn that the YouTube Space in LA was having a YouTube 101 event led by Jacques Slade aka Kustoo open to all creator levels. Was it too crazy to sign up for an event 3 states away that was happening in 9 days?! Unsure, I called my peeps doing a quick friend survey as to the feasibility of the idea. The result: It was just crazy enough to be brimming with the potential for an amazing story. Excited about the idea of a whirlwind pop-up trip to LA, I decided to attempt to sign-up… and I got an error message… trying again and again with the same result. Instead of closing my laptop and giving up, I made one last attempt, creating the video below to explain my wild idea to directly to YouTube. I’d pretty much figured that would be the end of the story… but for some reason the next morning I tried one last time… and managed to register. Since then it has been a delightful series of moments of pure #internetmagic. I am typing this just 2 days away from the adventure and I couldn’t be more excited! You can follow the adventure as it develops on my twitter @AmaraInSeattle & on my Instagram (also @AmaraInSeattle).